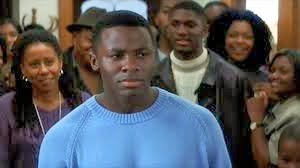 I watched Antwone Fisher early in my career as a foster care social worker. Several years later, I watched it again for this review. The film is less negative, but more potentially traumatizing, than I remembered. Fisher is a young man serving in the Navy. He grew up in foster care; much of his life was in an abusive foster home. After he aged out, he experienced homelessness. After his best friend was killed, Antwone joined the Navy. While there, he is often in trouble for engaging in fist fights. One of the fights results in him being seen by Dr. Davenport, a Navy psychiatrist. Davenport helps Antwone revisit his past. Antwone seeks reunification with his birth family in an effort to learn why they never knew him. Antwone was born while his mother was incarcerated. Two months after his birth, he was placed in a foster home. Although the social workers anticipated Antwone returning to his mother, she never came to claim him. 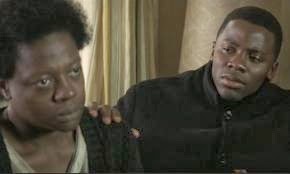 Antwone’s father was killed shortly before Antwone’s birth. Antwone grew up not even knowing his father’s last name. Antwone survived considerable abuse in his foster home. As a young adult, he decides to search for his birth family, and finds them. His mother is unable to receive him; she cries silently while he leaves. His father’s family embraces him wholeheartedly; his reunion with them comes straight out of his dreams. Antwone has a positive relationship with his psychiatrist, who challenges him to face his own past. Antwone asks, honestly, “Is it possible for somebody who’s had problems all their life not to stay that way.” His question is inspired by his desire not to be abusive in the romantic relationship he hopes to establish. Davenport gives Antwone hope, and Antwone is able to function successfully in the relationship. Antwone is able to find love. His girlfriend joins him in his search for his family. The scenes of Antwone’s reunification with his paternal family are very touching. He is embraced by multiple generations of his family. 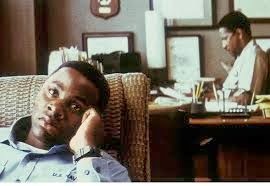 Like Angela Tucker – Antwone Fisher found Closure. 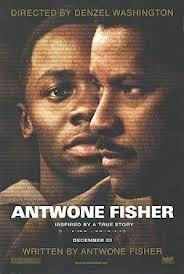 Antwone Fisher is a thought-provoking film. Some of its scenes are hard to see in the same way that Piece of Cake is hard to read – they’re graphic depictions of violence against kids in foster care. I’d recommend it for adults considering foster care. As you watch about it, think about fostering a teen. First parents, adoptive parents, and adoptees may watch it and consider what reunification would mean for them. Also, think about seeing the documentary, Closure, which offers a real-life glimpse into the search for birthparents. What internal thoughts and past experiences do you see evidenced in your kids’ behaviors? In your own? Did Antwone need to find his birth family to move forward in life? How important is the impact of professionals in the life of a child? If you’re considering fostering or fostering-to-adopt… What age group are you considering? What about a teen?